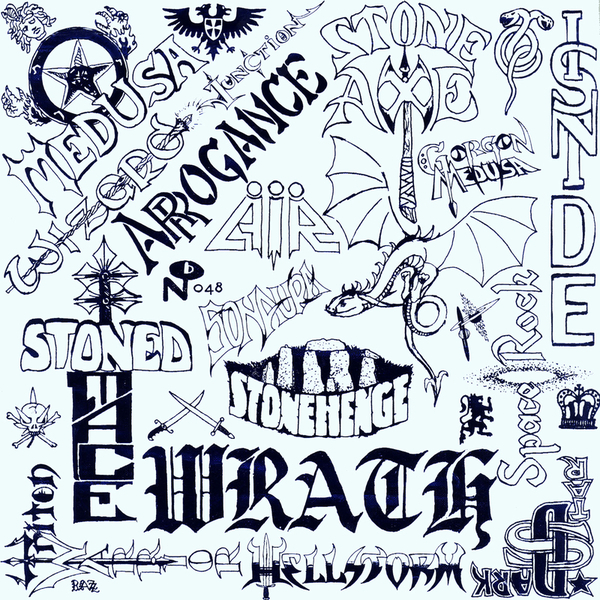 "With Warfaring Strangers: Darkscorch Canticles, the impacts of Led Zeppelin and Black Sabbath on US shores and heartlands is revealed as a bludgeoning previously undescribed. In this collection, medieval Bonham thunk and febrile Iommi guitar leads crowd out the bluesy Americana that foregrounded those bands, replacing hippie pastoralism with mythology, armored conflict, sorcery, and doom. From legions of occult-obsessive 1970s bonehead teens, we summoned a horde of 16 bands, cloaked in eons of tortured obscurity, whose sole release amounts to a blistering chapter ripped free of rock’s lumbering mythos. This music hails from an occluded realm, somewhere just beyond the pot-addled minds of its creators. Lyrically, the Darkscorch Canticles trifle with themes most grave: crippling fear, pagan hostility, paranoia, power addiction—even necromancy. Satan’s name is openly invoked, alongside Sauron’s. 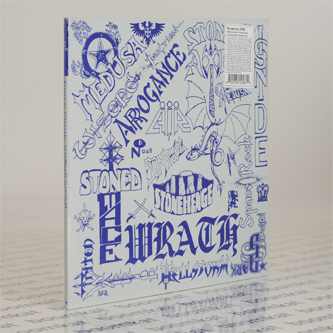 These worried, warlike Canticles occupy a miniscule niche in the American underground of self-released rock, but their appeal is more broad today than in any previous era."